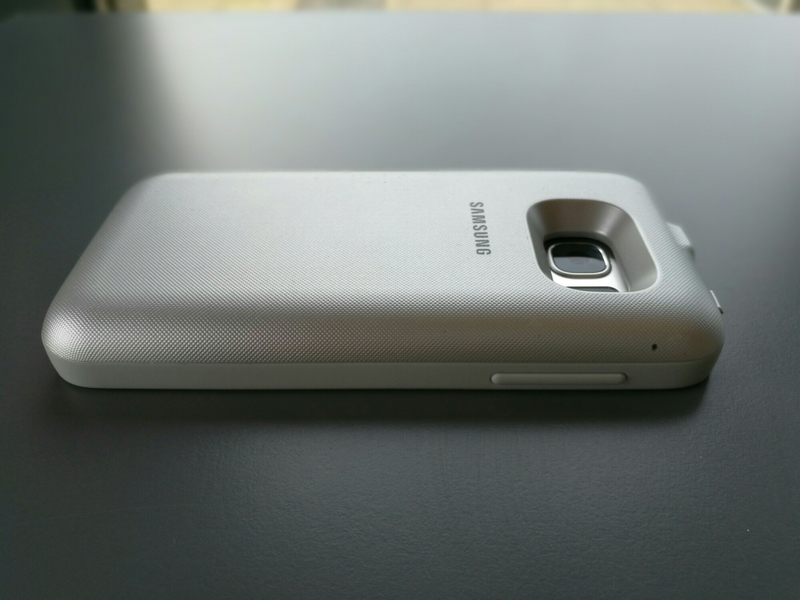 Samsung Galaxy S7 Wireless Back Pack review – The S7 with a 5,700 mAh battery! 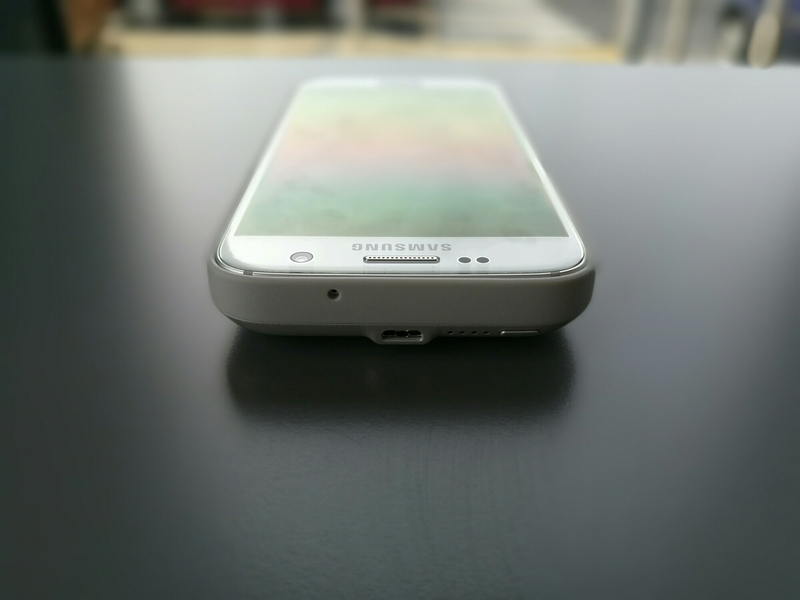 Welcome to my review of Samsung Galaxy S7 Wireless Pack. This battery pack provides another 2,700mAh with of juice to the S7. It is also available for the S7 Edge. Viewing the photo above you can see the micro USB jack and button. The LEDs are not to the button. On the bottom you still have access to all the ports. The volume and power buttons all work with ease. So how does it all work. 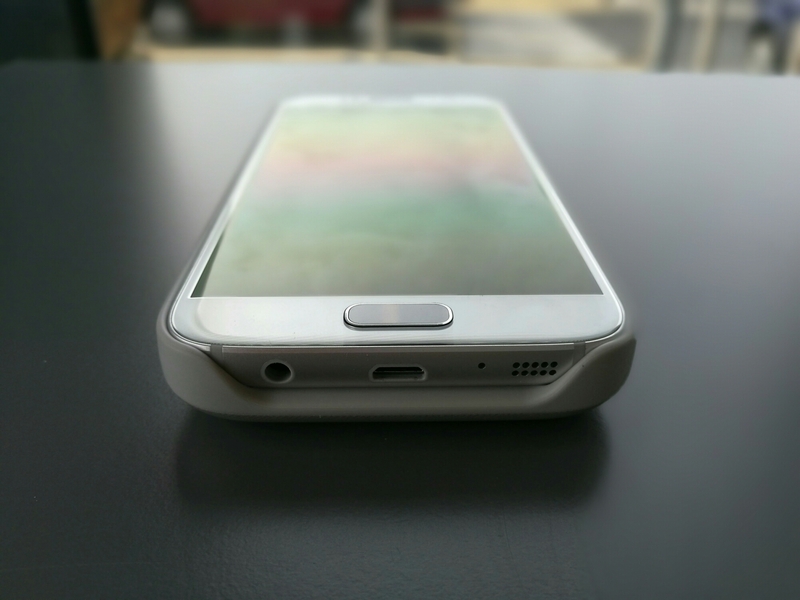 Just slide your S7 or S7 Edge into the case. Worth noting that the edges of the case are level with the phone screen so there is no protection for the screen if you turn the phone’s screen face down on a table. Also NFC doesn’t work with the case fitted. However, as the battery case charges the S7 via Qi charging there are no cables and it is a breeze to remove the phone. You can recharge both the battery pack and phone just using the battery back connection. You can also connect a micro USB lead to both the S7 and battery pack at the same time. 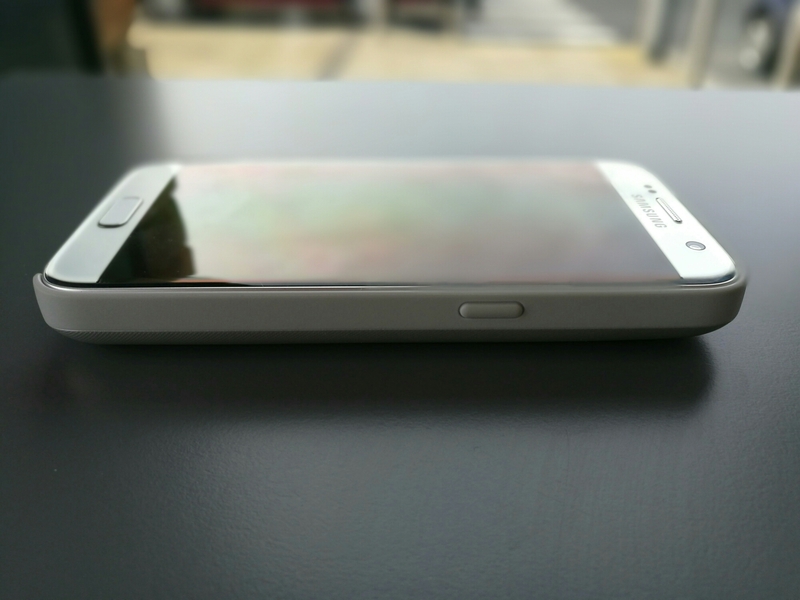 The battery pack turns off wireless charging when you do this. The cool part of the pack is you don’t need wires ever. The battery pack can recharge wirelessly on your Qi wireless charger ! Turning on the battery pack, is a simple as press the on button on the case. Long pressing the button turns it off. This is must have accessory if you want ease of use and that huge battery always available and charging your S7 using the wireless technology. For more information and to purchase at Amazon click HERE.